Closed for 2018. 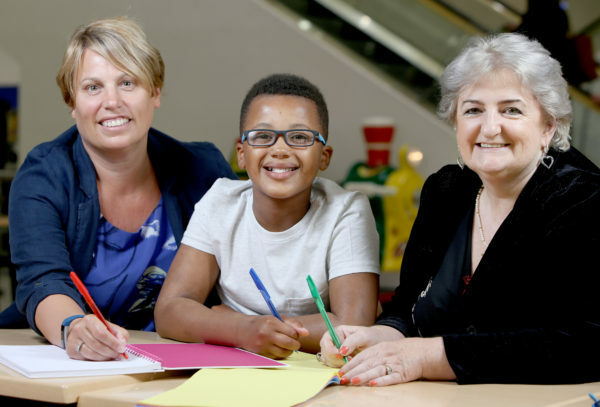 Kirkgate Shopping has partnered with literacy charity Reading Matters to launch its annual ‘Bradford’s Young War Poet’ competition on National Literacy Day, Friday 8 September. Local schools, young writers and students of drama, speech and writing groups across the district are encouraged to write a poem on the topic of war. Email your poems to the address on the Kirkgate website. Judges include Anthony Anaxagorou. The top three entrants will perform their poem live at the competition final on Armistice Day, Saturday 11 November, with The Royal British Legion in the centre. Top prizes include an iPad, tickets to see the War Horse at the Alhambra Theatre and Kirkgate Shopping vouchers. I am a Teacher in Nigeria who is interested in being connected to this group. I will truly be grateful if I am always connected with specific international contest which my students cant participate. Thanks for your comment. This competition isn’t run by Young Poets Network, and it is now closed. If you’d like me to add you to the Young Poets Network (YPN) ebulletin, that will keep you up to date on a monthly basis on new competitions and opportunities for young writers. I can also add you to our education ebulletin for poetry educators.